LEUKE DINGEN DOEN cupcakes, a photo by CAKE Amsterdam - Cakes by ZOBOT on Flickr. 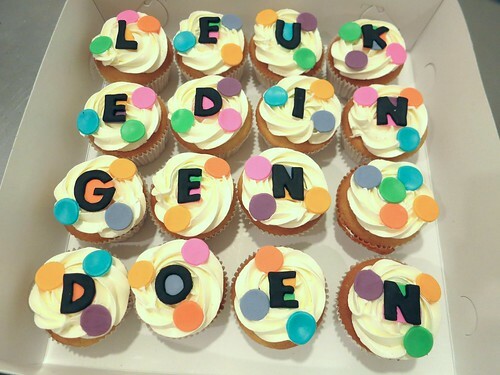 LEUKE DINGER DOEN cupcakes! For the launch of the LEUKE DINGEN DOEN website!